AVAILABLE AT SLIDING SCALE PRICES TO PROMOTE GREATER ACCESSIBILITY TO HEALTHY, LOCAL FOOD WHILE ENSURING FAIR COMPENSATION TO FARM N’ WILD WELLSPRING. specialty cut-Flowers and open-pollinated varieties of vegetables, organically grown in Boulder County, Colorado. available on sliding-scale prices to ensure that healthy food is accessible to all. Growing on a modest 1+ acre in Boulder County, Farm N' Wild Wellspring is dedicated to local adaptability, resiliency and seed sovereignty, therefore is committed to growing only open-pollinated varieties of vegetables and is devoted to regenerative agricutlural practices. We must feed the soil that feeds us. All produce is available at sliding-scale prices to ensure that nutritious food is accessible to all. 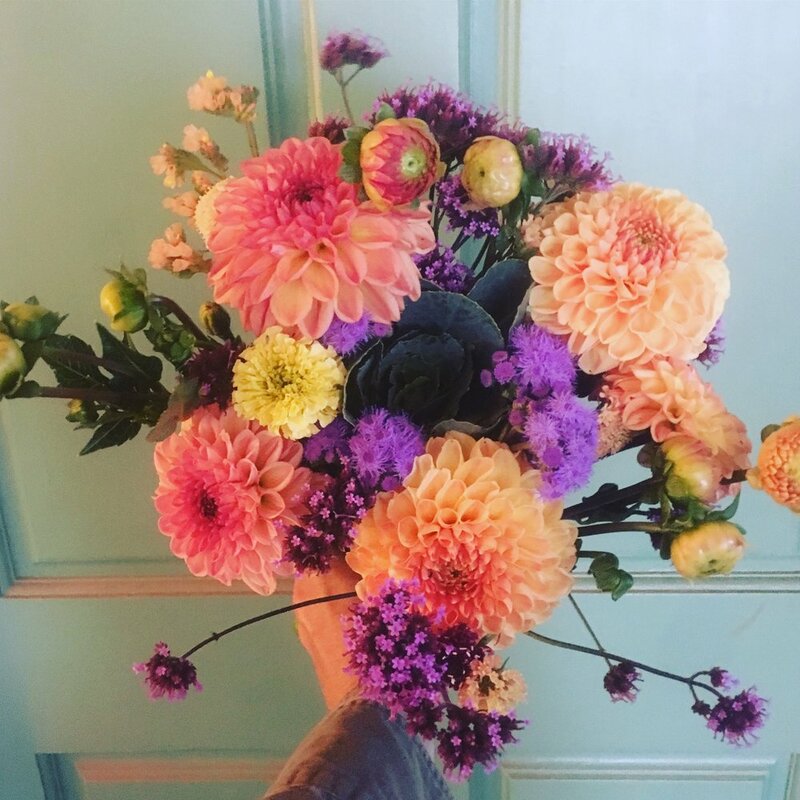 Locally grown flowers act as a true marker of time and place. Adding diversity to the farm landscape as well as the market, Farm N' Wild Wellspring has dedicated 1/4 acre to specialty cut flowers. Let the seasons greatest form of expression make a special mark on your day, be it any regular day, or the celebration of birth, love, friendship, food and community. Let us celebrate the seasons in bloom. "The ancient rhythms of the earth have insinuated themselves into the rhythms of the human heart. The earth is not outside us; it is within: the clay from where the tree of the body grows."